What an interesting photograph. There is a lot going on there. The thumbnail is hard to decipher. 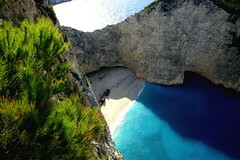 I want to go to Greece now.